I've used a similar rub for prime rib, but for some reason it never occurred to me to try it on steak. Great result, although the steak should have been a little thicker. I served frozen spinach cooked in the same pan, seasoned with salt, pepper, and a touch of garlic powder. Let meat rest out of the fridge for about 10 minutes to remove the chill. Heat a medium pan to screaming hot, coat with olive oil and look for slight smoke. Rub steak on both sides with seasoning. 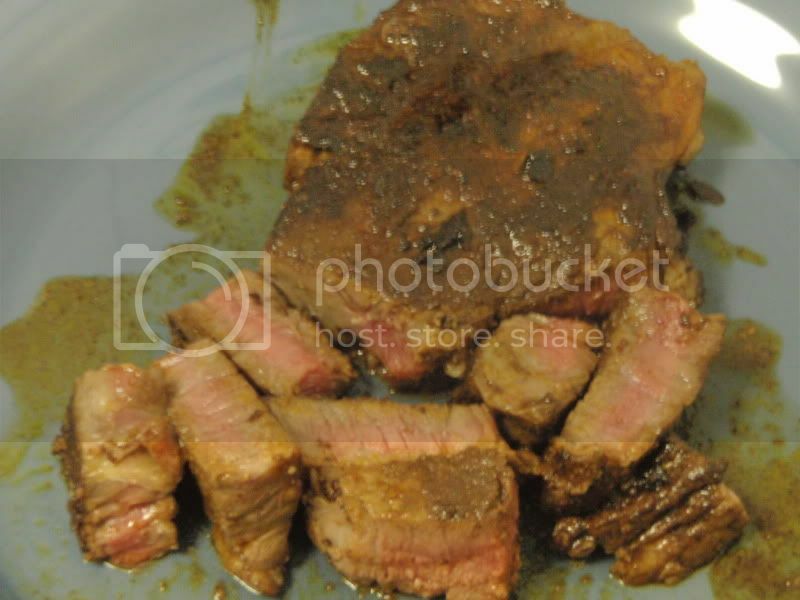 Cook steak for 4 minutes on each side for medium. Remove from pan. Let rest for 5 minutes before cutting to allow the juices to settle.